I lived almost 80% of my life in Iligan City. I was born in Oroquieta City, spent my early years in MSU-Marawi and raised in Iligan City. My childhood, adolescence and even adulthood memories are formed in Iligan City. After spending my 6 lovely years in Cebu City my feet brought me back to my home, my city,my Iligan. Although I have been to some of the must see places in Iligan, I wanted to know Iligan more most specially the secrets which I aim to discover. So here are few of what I have done in Iligan City. Went Swimming at Timoga Spring Pools – What could be lovelier than swimming in a fresh flowing spring pool, than swimming in a heavily chlorinated swimming pools? This is one of the Iligan’s Pride! There are 6 Spring Water Resorts to choose from and for only 50 pesos entrance fee per person you can enjoy a cold fresh free flowing spring water in a pool. Mt. Agad-Agad Trekking – If you are quiet adventurous, quiet fit and in for outdoor adventures, you can go trekking at Mt. Agad-Agad. One of the most climb mountains in Iligan City where you can spend an overnight stay camping at the peak of the mountain. You can choose between the most travelled route or go adventurous in a more difficult route. Or you can go for a dry picnic at Buhanginan Hills. Well, people have been bragging a lot about LECHON. And I have been to places and have been offered with Lechon every time, yet still no one can bit the taste of Iligan’s Lechon.We have a lechon here that are flavored; original;spicey and sweet and spicey flavor (intriguing enough?) Yes it’s a must try for those who can eat them. CHEDING’s Peanuts is one of the Iligan’s Pride for “Pasalubong” goodies. The Roasted peanuts that have reached a million taste buds, that even non-locals keeps them from craving. SUKANG PINAKURAT is a best selling Spiced Vinegar proudly made in Iligan City. Hot and Spicey lovers this is a must try. Once you taste it you can’t get away with it. It started to invade the stores late 2006 and have been available in most households for the past 5 years. If you’re a coffee Addict, coffee shops are already available in Iligan City. I myself is a coffee addict And for mobile workers like me, they’re WIFI Zone too. If you’re a night owl and night life is your way of Life, you can go bar hopping from various disco and acoustic bars around Iligan City. Or enjoy a night of Pizza with Calda’s Pizza’s 36 inch pizza @ The Strip. So here are just a few of what My Home, My City: Iligan City can offer. 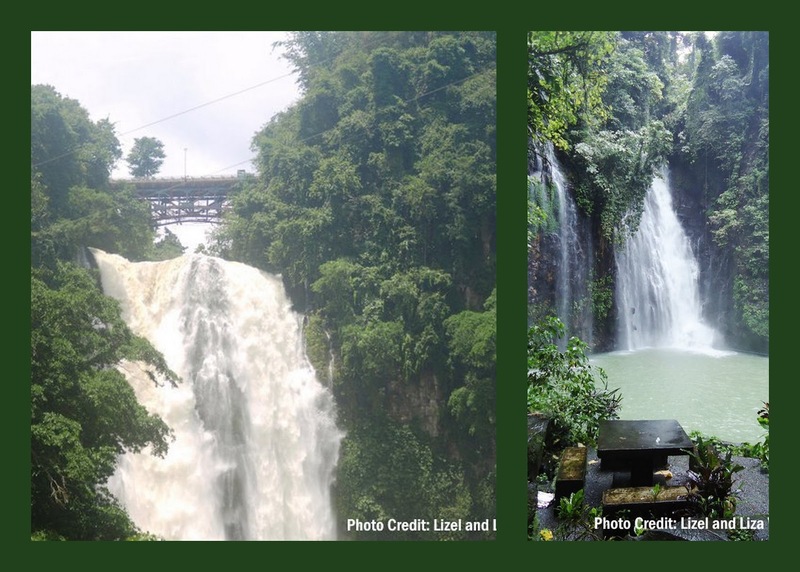 Named as the City of Waterfalls, Iligan City houses 23 water falls. I have visited 3 so that means I have 20 falls to cover. You see? Iligan City has a lot to offer, most specially for adventurous travelers like me. I am committed to knowing my City more. And so the chronicles will start here. A very nice intro to Iligan City. I have made 4 visits to Iligan and between visits I find additional things of interest right here on the internet that go on my list of things to see and do. The variety of places insure a great time for just about anyone no matter what really interests them. Thanks Bob NY. See you when you get here!